The United Nations has defined sustainability as development that meets the needs of the present without compromising the ability of future generations to meet their own needs. In the contemporary business world, sustainability has become much more than an environmental movement, but rather an economic necessity. Between rising costs of raw materials and energy combined with changes in the environmental laws, many businesses are striving to reduce waste and save energy. The benefits of these sustainable actions are reflected in the bottom lines of businesses that embrace sustainability. Green businesses can both save money and appeal to their current and future customers. The “Energy Assessments for Industrial Complexes” eBook provides a wealth of information to business managers that can help them to improve both environmental and the economic status of their companies. The eBook helps with decision making, such as equipment changes, insulation modifications, and green office management. The authors of the eBook have a great deal of experience in the environmental field and this contains many practical recommendations and suggestions that can help managers to develop a comprehensive, feasible and financially profitable sustainability program at their facilities. This eBook discusses methods that businesses may employ to reduce energy costs through environmentally sustainable methods. Environmental sustainability and energy conservation are important topics in today’s business climate. 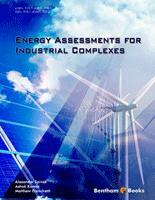 There are 23 chapters covering various aspects of energy assessments and each chapter is linked to case histories that are given in the appendix. This eBook discusses how to improve financial and environmental management of most components of a business, from lighting and office supplies to boilers and compressors. Readers will find useful tips on managing their energy needs in a financially sound and environmentally sustainable way. The eBook is designed for mid- and upper-level managers planning to start or currently conducting energy assessments for production sustainability programs for their company. Those who wish to gain a better understanding of many ways to reduce energy consumption can benefit from this eBook. We are indebted to the former and current Civil Engineering graduate students of the Air Pollution Research Group and Mechanical Industrial and Manufacturing Engineering (MIME) students at The University of Toledo, who were involved in this research over the last 15 years and developed the software that is being used to carry out the energy assessments documented in the Appendix. Special thanks to the Center for Innovative Food Technology (CIFT), TechSolve, Inc., and other participants for of the energy assessments discussed in the appendix of this eBook. We are grateful to the CIFT, TechSolve, Inc., Edison Welding Institute (EWI), and Cleveland Advanced Manufacturing Program (CAMP) for participating in the PPIS grant. We appreciate the research grants awarded by the United States Environmental Protection Agency (U.S. EPA) to The University of Toledo, which made possible the development of software available on our web site and execution of P3 assessments discussed in the Appendices. We would also like to thank Kathryn Rose for editorial assistance and her contributions to the structure and format of the eBook. Even if one user wants to apply energy assessment tools to reduce energy consumption anywhere in the world, this eBook will serve its intended purpose. These tools will assist environmental professionals in recommending energy strategies for their organization, as well as improving existing tools and developing new approaches. The views expressed in this eBook are those of the authors alone and do not represent the views of the organizations who, over the years, funded the assessments. The authors do not have any financial interest in the software discussed/used in this eBook. We acknowledge that our research group has not been paid, sponsored or offered any incentives in any way by the producers mentioned in the eBook.